[via consumerist] Walmart can try to spin itself as being on the side of good all it wants, but if it ever suspects you of shoplifting, you may find that you're powerless to fight back. 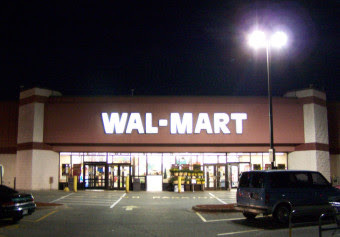 In the case of a couple accused of shoplifting some Bic lighters in Niles, Michigan this past August, Walmart detained them, the police came and cuffed one of them, their two kids were taken to a security room, and—after a review of security footage proved the couple's innocence—they were banned for life from all Walmarts. To top it off, Walmart's legal team has sent the couple a letter asking to be reimbursed for 10 times the value of the lighters, even though the police determined no shoplifting had taken place. The couple in question is gay and their sons are adopted, which may have introduced a whole new level of emotional reactions on both sides of the dispute. The men say their children told them that while they were being held in the security room, the security staff threatened the kids and "had made disparaging remarks about Paolucci and Hitchcock's lifestyle." It's not a stretch to imagine that such an attitude, if it existed, carried over into any face-to-face interactions. Meanwhile, the police who showed up and cuffed Paolucci, then forced the two men into the backs of different squad cars, claim that the men were causing a disturbance when they arrived at the scene. Asked if they intend to sue Wal-Mart, Paolucci said he and Hitchcock probably won't because other attorneys have advised them Wal-Mart historically "plays hardball" and isn't prone to settle cases out of court. "We could spend a couple million dollars to sue them," Paolucci said. But that doesn't mean there won't be court action. Paolucci and Hitchcock e-mailed The Tribune a copy of a letter from a law firm representing Wal-Mart seeking 10 times the retail price of the items the store still claims were shoplifted by Paolucci. The letter states the matter will be dropped if Paolucci submits the $158.40 payment. Fortunately, the men seem to have enough money that they can afford to never shop at the discount retailer again, even if they weren't banned for life. If you're not part of a wealthy two-income family, though... well hopefully Walmart will look down favorably upon you when your post-checkout time comes, so long as you act contrite and respectful of their security team's authority.